Allegations about the late singer have surfaced in the documentary Leaving Neverland. BARBRA STREISAND HAS apologised over her comments about Michael Jackson and two men who have accused him of sexual abuse, which she said “didn’t kill them”. In an interview with The Times, the actress and singer said she “absolutely” believed the allegations made by Wade Robson (36) and James Safechuck (41) in the recently released documentary Leaving Neverland. However, she added that Jackson’s alleged actions “didn’t kill them”. “You can say ‘molested’, but those children, as you heard say [the grown-up Robson and Safechuck], they were thrilled to be there,” Streisand told the newspaper. Allegations about the late singer have surfaced in the documentary Leaving Neverland, where two men, Wade Robson and James Safechuck, outline the abuse they say they were subjected to. 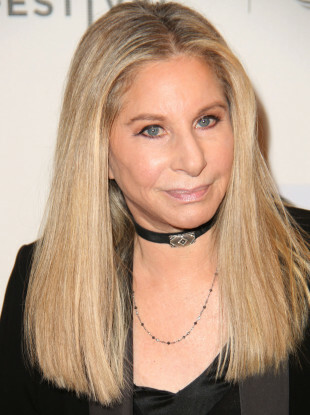 Streisand has since posted an apology on social media, saying she is “profoundly sorry for any pain or misunderstanding” she caused by not choosing her words more carefully. “I didn’t mean to dismiss the trauma these boys experienced in any way. Like all survivors of sexual assault, they will have to carry this for the rest of their lives,” she said, addressing the allegations. “I feel deep remorse and I hope that James and Wade know that I truly respect and admire them,” she said. Members of the Jackson family have denied the allegations and defended Michael Jackson. Email “Barbra Streisand 'profoundly sorry' for comments about Michael Jackson's accusers”. Feedback on “Barbra Streisand 'profoundly sorry' for comments about Michael Jackson's accusers”.